Usually affects men aged 20-40 yrs. Kienbock Disease. 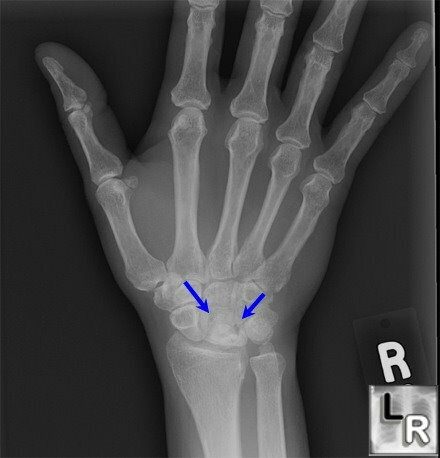 Frontal view of the hand and wrist demonstrates sclerosis, irregularity and collapse of the lunate (blue arrows). Kienbock Disease. 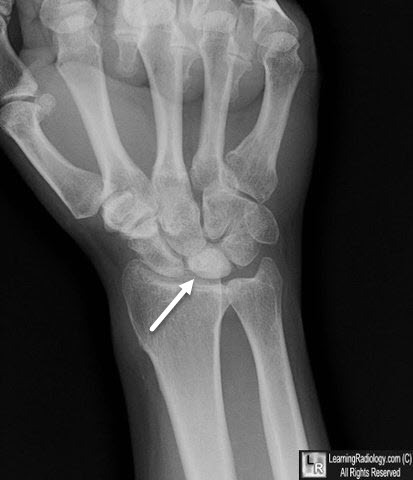 Frontal view of the hand and wrist demonstrates sclerosis of the lunate (white arrow).